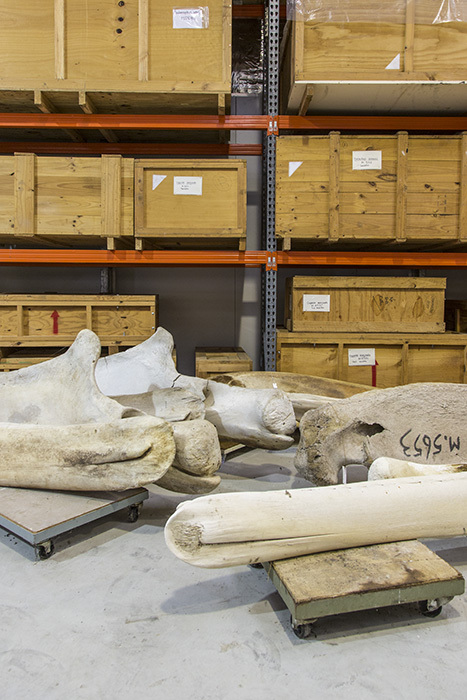 Contains herpetology, mammal, fish, marine invertebrate collections among others (https://www.samuseum.sa.gov.au/collections/biological-sciences). South Australian Museum Arachnology Collection The Arachnology Collection at the South Australian Museum contains around 300,000 specimens in these groups as well as many centipedes and millipedes (Myriapoda). South Australian Museum Ichthyology Collection The fish collection is comprised of over eleven thousand registered lots. The collection has a strong regional focus with freshwater fishes of southern and central Australia and Southern Ocean marine fishes, including deep-sea species, well represented. South Australian Museum Terrestrial Invertebrate Collection The collection has Australia-wide and Indo-Pacific representation, plus some world specimens for comparative purposes. Looking up... the number of records that can be accessed through the Atlas of Living Australia. Click to view records for the South Australian Museum.